Our Website Conditions sets out the terms between You and Us under which You may Use or Access Our Websites. Our Website Conditions applies to all Users of Our Websites. Our Websites are also made up of a number of specific Sites which deal with the supply of specific Products or Services to specified classes of users such as on a Subscription service or for advertisers. The supply or provision of such Products or Services to a User may be governed by terms of contract that may differ from or are in addition to Our Website Conditions. You hereby agree that these Additional terms ["Additional Terms"], shall apply to You in such an event, in addition to Our Website Conditions. Where Additional Terms are applicable, then Our Website Conditions shall be read in conjunction with any applicable Additional Terms. If any terms and conditions contained in Our Website Conditions conflict with any terms and conditions contained within the Additional Terms, then the Additional Terms shall prevail over Our Website Conditions [and only to the extent necessary to resolve such conflict]. Any applicable Additional Terms shall be specified in the subject Website, and/or in the Products or Services "Order Form", "Customer"s Order", "Purchase Order", "Request for Quotation", "Request for Services" or "Insertion Order" found at such Website or other contractual documents referred to thereat. You hereby agree that in such instances, those Additional terms shall also be applicable to You and Us in any agreement entered into between You and Us. CloudHAX reserves the right to change the terms contained in Our Website Conditions or the Additional Terms at any time. You are responsible for regularly reviewing all applicable Contractual terms and Additional terms which are be posted on Our Websites for the use of such Websites or for Products and Services provided or supplied. If You do not accept Our Website Conditions, or the applicable Additional terms, do not use any of Our Websites. We do change Our Website Conditions, and our Additional terms, from time to time, so You should review them each time that You visit the Website/s. No part of Our Websites, or of our Products or Services provided thereat, shall be deemed or intended to constitute a Contractual Offer to You. When You issue Your Order Form, Purchase Order, Customers Order, or Insertion Order [collectively "Order Form"], such Order Form shall be deemed to be Your Offer for the purchase, hire, rental, license, supply or provision of the subject Products or Services. We are at liberty to Accept or Reject Your Offer. If We accept your Offer, We shall issue to You an 'Acceptance Confirmation' and an Invoice. Our acceptance Confirmation shall be treated as an "Acceptance" of Your "Offer". You may use any of Our Websites no matter what age You are so long as You agree to and abide by Our Website Conditions. However if You wish to create an account, or to make an offer for the provision or supply of Products or Services, You may only do so if You are over the age of twenty one  and You register with us to open an account. If You are below the age of 21, You may not open an account, register with Us or order Products or Services from us. If You seek to do so, You must obtain the consent of Your parent or guardian who can open the account, register with us, and order the said Products or Services [supposing that they are in fact agreeable to do any or all of those things]. If You open an account to order Products or Services from us, and You act on behalf of a legal person [see definitions section below], You hereby warrant and undertake that You possess the authority to bind Yourself, Your principals or employers [or the legal person named by you] with whom You are engaged with or acting as employee or agent for. Select a username already used by another person or very similar to that of another person which is likely to cause confusion. Use a username in which another person has rights, without such person's authorization. Use a username that We, in our sole discretion, deems offensive or inappropriate. You shall provide to Us documentary proof of identity documents, such as scanned copies of Your Identity Card, Passport or Company profile, should such be necessary. We reserve the right to deny creation of Your account based on Our inability to verify the authenticity of the registration information or documents provided by you. You shall be solely responsible for maintaining the confidentiality of Your username and password combination. You shall immediately notify Us in writing of any known or suspected unauthorized use of Your account, or any known or suspected breach of security, including loss, theft, or unauthorized disclosure of Your password or credit, debit, charge card or banking information. You are fully responsible for all usage and activity on Your account, including, but not limited to, use of the account by any third party authorized by You to use Your username and password combination. The use of Your account by any individual under the age of twenty one (21) is strictly prohibited. If the computer system on which You accessed Our Websites, or the Products or Services on Our Websites, is sold or transferred to another party, You are advised to delete all cookies and software files obtained by or through use of Our Websites or of the Products or Services used or accessed by You. We reserve the right to terminate Your account, in Our sole discretion, at any time without notice. You may terminate Your account at any time by submitting feedback or through an email communication. Upon termination, You will receive an automated confirmation via e-mail that the request was received, and Your account will be terminated within five (5) business days. You are responsible for all fees and charges incurred up to the time the account is terminated. Notwithstanding anything else herein, We reserves the right to pursue any and all claims against any User of Your account. Whether as an individual or as a business user, You agree to maintain only one account with us at any time for the Provision of any Product or Service, unless otherwise agreed between us. At the time of account creation, You certify that You have no other account(s) with us. All payments must be effected in the currency of Malaysia that is the Malaysian Ringgit [MYR], unless otherwise agreed in writing between You and Us. By Credit Card, Debit Card or Charge Card. By a Cheque issued by a Bank in Malaysia. By an Inter Bank Transfer of Funds from Your Bank to Our Bank Account [Telegraphic Transfer]. Such other method as may be agreed between You and us. The Products or Services ordered shall only be shipped, delivered or provided to You once We have received cleared payment of Our invoice. For Services to be provided to you, the service will be activated upon Our receiving cleared payment from You against Our invoice. Of the cleared payment paid against Our invoice. Of the shipment of Your Products. Of the relevant particulars of Your subscribed for or licensed Products and Services, and any relevant activation codes, usernames or passwords, or download links for software or apps, which are applicable for such Products or Services. And posted to this Postal Address : 21-3 & 21-3A, 21st Floor, Oval Tower @ TTDI Damansara, Jalan Damansara, Off Lebuhraya Sprint, Taman Tun Dr Ismail, 60000, Kuala Lumpur. Where payment has not been received by Us within fourteen days of the issue of Our Invoice, We reserve the right to cancel Your order without any recourse by You. We reserve all of Our legal rights in such an instance for any costs, expenses or charges incurred by Us which We shall have the right to recover against You for such cancelled orders. CloudHAX will charge the credit card, debit card, or charge card You provide ("Card") on a recurring basis at the applicable times that the applicable fees or charges become due and payable by You as per the contract entered into between You and Us. When You provide Us with Your Card particulars, You may elect to either make it valid solely for use by You or for use by both You and the organization that You work for (your "Organization"). If You elect to make Your Card valid for use by Your Organization, anyone within Your Organization may make effect the payment of fees or charges against Your Card. All applicable Additional Fees or charges will be charged to Your Card, when a product or service is ordered by You and/or Your Organization. You understand that You may withdraw this authorization to make automatic payments, by notifying CloudHAX at 14 days If such notice of revocation is not received by CloudHAX at least three (3) days in advance of a scheduled payment date, CloudHAX may still charge Your account for the next payment and Your revocation will not take effect until the following payment. All Content included on Our Websites, unless uploaded by Users, including, but not limited to, text, graphics, logos, icons, images, sound clips, video clips, data compilations, page layout, underlying code and software is the property of CloudHAX, our affiliates or other relevant third parties. By continuing to use Our Websites you acknowledge that such materials are protected by applicable Malaysian International intellectual property laws, the applicable laws of other countries or under international law or conventions. You shall not reproduce, copy, distribute, store or in any other fashion re-use material from Our Websites, unless otherwise indicated on the Websites, or unless given express written permission to do so by Us. Unless otherwise expressly indicated, all Intellectual Property rights including, but not limited to, Copyright and Trademarks, in product images and descriptions belong to the manufacturers or distributors of such Products or Services, as may be applicable. You shall not reproduce, copy, distribute, store, or in any other fashion, re-use such material, unless otherwise indicated on the Websites, or unless given express written permission to do so by the relevant manufacturer, supplier or content owner. ur Websites may contain links to other sites. Unless expressly otherwise stated, these Websites are not under the control of CloudHAX or that of our affiliates. We assume no responsibility for the content of such Websites and disclaim liability for any and all forms of loss or damage arising out of the use of them by You or any third party. The inclusion of a link to another site on Our Websites does not imply any endorsement or promotion of the sites themselves, of those in control of them, or of the Products and Services provided or supplied by such third parties on their Websites. Those wishing to place a link to Our Websites may do so only to the home page of our Website which is : https://www.cloudhax.com without prior permission. Deep linking (i.e. links to specific pages within our Websites) requires our express permission. To find out more please contact Us by email at customerservice@cloudhax.com. You shall not use foul, obscene or vulgar language. You shall not submit Content that is unlawful or otherwise objectionable. This includes, but is not limited to, content that is abusive, threatening, harassing, defamatory, ageist, sexist or racist. You shall not submit Content that is intended to promote or incite violence or any criminal act or conduct. Your submissions are to be made using the English language only as We are unable to respond to enquiries submitted in any other languages. The means by which You identify yourself must not violate these Website conditions or any applicable laws of the country where you access the world wide web. You shall not impersonate any other person, particularly employees and representatives of CloudHAX or our affiliates. You shall not use our Systems for unauthorized mass-communication materials, which include, for instance, "spam" or "junk mail". You acknowledge that CloudHAX reserves the right to monitor any and all communications made by You to Us or by Your using any of our Website/s Systems. You acknowledge that CloudHAX may retain copies of any and all communications made to Us from Your use of our Website/s or through using our Website/s Systems. You acknowledge that any information You send to us through our Website/s Systems or post on the forums/chat/community/blog or similar Services [interactive services], may be modified by us in any way and You hereby waive Your moral right to be identified as the author of such information works or materials. Any restrictions You may wish to place upon our use of such information, works or materials must and shall be communicated to Us in writing in advance and We reserve the right to reject such terms and associated information works or materials. All information that You submit is complete, factual and truthful. You have permission to authorize Payment to Us using the payment method designated by you. You have permission to submit the relevant payment information to Us. You will, on a continuing basis, and as a continuing obligation, keep such payment or banking information accurate and up-to-date. Your creation of an Account is further affirmation of Your representations and warranties which are made herein. You will not share Your Account details, particularly Your username and password combination, with third parties or unauthorized persons. CloudHAX accepts no responsibility or liability for any loss or damage incurred by You as a result of Your Account details being shared by You with any third parties. If You use a shared computer, it is recommended that You do not save Your Account details in Your internet browser. If You have reason to believe that Your Account details have been obtained by another person without Your consent, You should contact Us immediately at customerservice@cloudhax.com to suspend Your Account and cancel any unauthorized orders or payments that may be pending. When choosing Your username You are required to adhere to the terms set out herein. Any failure to do so could result in the suspension and/or deletion of Your Account. Either CloudHAX or You may terminate Your Account. If We terminate Your Account, You will be notified by email and an explanation for the termination may be provided. Notwithstanding the foregoing, We reserve the right to terminate Your account without giving reasons therefor. If CloudHAX terminates Your Account, any current or pending orders or payments on Your Account will be cancelled and the provision of Products or Services to You will be cancelled. CloudHAX reserves the right to cancel orders or payments without stating any reasons for the same. Such may be effected at any time prior to the processing of any payment by You or the commencement of any ordered for Products or Services. If orders or payments are cancelled for any reason prior to delivery of the Products to You, or commencement of the Services, You will be refunded any monies paid in relation to those purchases or transactions. If You terminate Your Account, any non-completed orders or payments will be cancelled and You will be refunded any monies paid in relation to those orders. Any and all monies are due for payment on completion of the order or on the dates, or intervals specified in that Order as may be applicable, unless alternative arrangements are agreed between You and CloudHAX. Agreed Interest for late payments shall be charged at the rate of two  percent per month until all sums due and owing by You have been paid. Where applicable, You may be required to select Products and Services which are packaged into different categories for different User requirements or types. All pricing information, or fees or charges, for Products and Services on Our Websites are correct at the time of going online. You hereby agree that CloudHAX reserves the right to change prices, fees or charges and alter or remove any Special Offers, Promotions or Rewards from time to time as it deems necessary. All prices fees or charges on Our Websites do not include GST, unless otherwise specified. All prices fees or charges on the Website for the sale, subscription, supply, lease, hire or license of Products or services do not include GST. GST [at the rate of 6%]. Provision of Services shall commence when full payment has been received from you. CloudHAX shall use its best endeavours to provide the Services with reasonable skill and care. Provision of all Services shall be subject to Our Website Conditions and the Additional Terms which shall be applicable to the provision of particular Services as are Ordered by You. In the event that the Services provided are not in conformity with Your Order and thus incorrect or incomplete, You should contact Us within Two  days to inform Us of the mistake. CloudHAX will ensure that any necessary corrections to the Services provided are made in a reasonable time frame. CloudHAX reserves the right to make changes or alterations to the Services from time to time. Whilst every effort has been made to ensure that all graphical representations and descriptions of Products available from CloudHAX correspond to the actual Products, CloudHAX is not responsible for any variations from these descriptions. Where appropriate, You may be required to select the required [size] [model] [colour] [number] [other features] of the Products that is to be provided or supplied to you. CloudHAX does not represent or warrant that such Products will be available. Stock indications are not provided on Our Websites. All pricing information on Our Websites for the provision or supply of Products are correct at the time of going online. CloudHAX reserves the right to change prices and alter or remove any promotions or special offers from time to time. All prices on the Website for the sale, subscription, supply, lease, or hire of Products do not include GST/Sales and Service Tax [if applicable]. GST/Sales and Service Tax [if applicable]. In a sale and purchase transaction, Title and Property in the Products will not pass to You until the full Invoice price for those Products have been received and credited into our Bank Account. 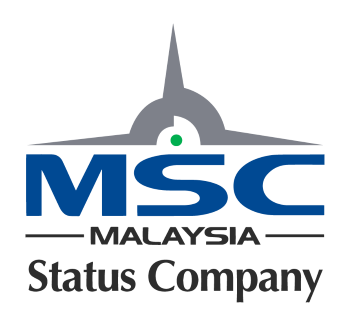 Where payment has been received, Title and Property, and risk of loss or damage to the Products shall be deemed to pass to You when the Products are delivered to Malaysia Post or the Courier or shipping company. Where Products are leased, hired or licensed for Your use, You hereby agree that Title and Property in such Products remain with CloudHAX [or other third party providers, suppliers or licensors] and You shall not deal with the Products in any manner that is in breach of the contract or terms of subscription, lease, hire, or license to use the Products. Unless otherwise agreed, You are obliged to insure the Products for 'ALL RISKS' whilst they are Used by You, or in Your care or control. You hereby agree that if any Products have been provided or supplied to you, and You have not made payment of the purchase price, or the fees or charges for the subscription, lease, hire or license of such Products, then CloudHAX [or the Product Owners, Providers Suppliers or Licensors] have the legal right to enter Your premises and remove the subject Products from Your premises. CloudHAX will notify You by way of email when your Products are to be dispatched to you. The message will contain details of estimated delivery times in addition to any reasons for a delay in the delivery of the Products to be supplied to you. Unless otherwise agreed, Products delivered shall be posted by Malaysian Post. Delivery of Products will only be made to a residential or business address in Malaysia, unless otherwise agreed in writing. We will not deliver any Products to a P.O. Box address. CloudHAX aims to always provide high quality Products and Services that are fault free and undamaged. On occasions however, goods may need to be returned. Returns are governed by these Terms and Conditions. If the Purchaser receives Products which do not match those ordered, or comply with the Product description or specifications, the Purchaser should contact Us within Ten  working days to arrange for the collection and return of such Product/s. The Purchaser will be given the option to have the Product/s replaced with those ordered (if available) or to be refunded through the payment method used when the Products were purchased. Refunds and replacements will be issued only upon our receipt of the returned Products at the address to which such products are to be returned. If any Products purchased have faults when they are delivered, the Purchaser should contact CloudHAX within Ten  working days to arrange for the collection and return. CloudHAX is not responsible for paying the shipment costs for such returns. Products must be returned in their original condition, with all packaging and product documentation that were supplied. Upon receipt of the returned Products, the price of the Products, as paid by You, will be refunded to You through the payment method used when the Products were purchased. If any Products develop faults within their warranty period, the Purchaser is entitled to a repair or replacement under the terms of the applicable warranty. If Products are damaged in transit, and the damage is apparent on delivery, the Purchaser should sign the delivery note to the effect that the goods have been damaged. In any event, such damage should be reported to CloudHAX within Ten  working days. The Purchaser shall be responsible for return of the Product to us at the address designated by Us for returns. CloudHAX is not responsible for paying the shipment costs or insurance thereon which shall be wholly borne by the Purchaser. Upon receipt of the returned Products, the price of the Goods, as paid, will be refunded through the payment method used when the Products were purchased. If the Products have been dispatched or have reached you, but You the Purchaser decides that they are no longer required, the Goods can be returned to CloudHAX within ten  days of receipt. Products can only be returned for this reason if their packaging remains unopened and the Goods can be re-sold, as new, without any additional work on the part of CloudHAX or the Suppliers of the Products. The Purchaser is responsible for paying shipment and insurance costs if Products are returned for this reason. If the Purchaser wishes to return Goods to CloudHAX for any of the above reasons, please contact us at customerservice@cloudhax.com to make the appropriate arrangements with Us. Any use or enjoyment that You may have already had out of the Goods or Products. Any characteristics of the Goods or Products which may cause them to deteriorate or expire rapidly. The fact that the Goods or Products consist of audio or video recordings or computer software and that the packaging has been opened. Any damage to the goods or Products, even if they be superficial and the degree and extent to which the Goods or Products have been used. Where CloudHAX accepts returns, CloudHAX shall be entitled to charge a Cancellation Fee for Goods or Products returned which are not defective or faulty but which have been used by the User. You agree that Your dealings with Third Party Sellers, Suppliers, licensors or Service Providers [collectively "third party suppliers"] found on or through Our Websites including payment and delivery for any Products or Services offered thereat, and any other terms, conditions, warranties or representations associated with such dealings, are solely between You and such Third Party suppliers, and You hereby irrevocably agree that CloudHAX shall not be responsible or liable for any claims or disputes You may have with such third parties, no matter for what reasons or causes. CloudHAX makes no warranty or representation that Our Websites, or our Products and Services, shall meet Your requirements, that it will be of satisfactory quality, that it will be fit for a particular purpose/s, that it will not infringe the rights of third parties, that it will be compatible with all computer systems, that it will be secure, and that all information provided will be accurate. We make no warranties or guarantees of any specific results from the use of Our Websites and of the Products and Services offered thereat. CloudHAX is not responsible for any material created or submitted by Users of Our Websites. No material created by Users is endorsed or otherwise supported by CloudHAX. CloudHAX assumes no responsibility for any offence, loss or other harm resulting from material created or submitted by Users. No part of Our Websites is intended to constitute professional opinion or advice and the content of Our Websites shall not be relied upon when making any decisions or taking any action of any kind. The data and information on Our Websites are not designed with commercial purposes in mind. CloudHAX makes no representation or warranty that the content of Our Websites are suitable for use in commercial situations or that it constitutes accurate data and / or professional advice on which business or financial decisions can be based. All Users are expressly warned that they secure and obtain the advice of professional persons [such as lawyers, accountants, and property surveyors or valuers] when making a decision as to whether to enter into a transaction relating to real property. Whilst every effort has been made to ensure that all descriptions of Products and Services available from Our Websites correspond to the actual Products or Services available, CloudHAX is not responsible for any variations from these descriptions. Whilst CloudHAX uses reasonable endeavours, on a best efforts basis, to ensure that Our Websites, and our Products and Services, are secure and free of errors, viruses and other malware, all Users are advised to take responsibility for their own security, that of their personal details and their computers. CloudHAX reserves the right to change Our Websites, the Products or Services, its Content, or these Website conditions, and any applicable Additional terms at any time. You will be bound by any changes to the Website conditions and any applicable Additional terms from the first time You use Our Websites following the changes. If CloudHAX is required to make any changes to our Terms and Conditions by law, these changes will apply automatically to any orders currently pending, in addition to any orders placed by You in the future. You hereby irrevocably agree that Our Websites and the Products and Services provided on Our Websites, or any of them, are provided on an "AS IS", on an "AS AVAILABLE", and on an 'WITH ALL FAULTS ACCEPTED' basis. We make and give no representations, warranty or conditions, whether statutory, express or implied, that the Products and Services shall be free of defects and / or faults. To the maximum extent permitted by law, We provide no warranties (statutory, express or implied) of fitness for a particular purpose, accuracy of information, compatibility, reliability or of satisfactory quality. CloudHAX accepts no liability for any disruption or non-availability of Our Websites, or of its Products and Services resulting from external causes, including, but not limited to, ISP equipment failure, host equipment failure, communications network failure, power failure, natural events, force majeure events, acts of war or legal restrictions and censorship. To the maximum extent permitted by law, CloudHAX accepts no liability for any direct or indirect loss or damage, foreseeable or otherwise, including any indirect, consequential, punitive, special, or exemplary damages arising from the use of any of our Websites, our Products or services, or any information contained therein. Users should be aware that they use Our Websites, our Products and services, and its Content at their own sole risk. In the event that CloudHAX fails to exercise any right or remedy contained herein [or specified in the additional terms], this shall not be construed as a waiver of that right or remedy. In the event of any conflict between our current Website conditions, and any applicable Additional terms, with prior versions of the same [that is to say, Website conditions and Additional terms], the current versions shall apply to any contract entered into between You and Us, unless it is expressly stated otherwise. Nothing in our Website Conditions or Additional terms shall confer any rights upon any third party/parties. The agreement created by these Website conditions and/or Additional terms is between You and CloudHAX, its subsidiaries or affiliates. CloudHAX may choose to deliver all communications to You electronically, which may include: (a) email [to the email address that You provide to CloudHAX upon registration] or (b) telefax [to the fax address that You provide to CloudHAX upon registration]. You agree to do business electronically with CloudHAX, and to receive electronically all current and future notices, disclosures, communications and information. You hereby agree that the aforementioned communications or notices provided electronically satisfies any legal requirement that such communications be in writing. Notices that are required to be sent to Us in hard copy shall be given to Us either by hand or courier delivery or posted to our Offices at 21-3 & 21-3A, 21st Floor, Oval Tower @ TTDI Damansara, Jalan Damansara, Off Lebuhraya Sprint, Taman Tun Dr Ismail, 60000, Kuala Lumpur. Such notice will be deemed received 3 days after posting if sent by post or AR Registered Mail, and the day of handover if delivered by hand. CloudHAX may from time to time send You information about our Products or Services. If You do not wish to receive such information, please click on the "Unsubscribe" link in any email which You receive from us. Our Website Conditions and the relationship between You and CloudHAX shall be governed by and construed in accordance with the Law of Malaysia. You hereby agree that You shall not assign, transfer, make over, subcontract, or delegate any Agreement that is entered into between You and Us to any third party without our express written consent. Any such purported assignment shall be treated as Void and of no legal effect against Us. We will not be held responsible for any delay or failure to comply with our obligations under these Website Conditions or any applicable Additional terms[or in relation to any Agreement entered into between You and Us] if the delay or failure arises from any cause/s which is beyond our reasonable control, including by reason of Force Majeure, which shall include any default due to or caused by an Act of God, war, or threatened war, act of terrorism or threatened act of terrorism, strike, lockout, industrial action, health epidemic or pandemic, fire, flood, drought, tempest or other event beyond Our control. Any controversy, claim, or dispute of whatever nature arising between You and CloudHAX (a "Dispute"), including, without limitation, a Dispute arising out of, or having to do with Your Use or Access to Our Websites, including any Products, Services, Content, or any Agreement entered into between You and Us, shall be resolved by binding arbitration. Our agreement to arbitrate shall continue in full force and effect despite the expiration, rescission, or termination of the Agreement between Ourselves and You. Either party may begin the arbitration process by giving a written notice to the other party setting forth the nature of the Dispute and its pertinent particulars. The arbitration shall be in accordance with the Kuala Lumpur Regional Centre for Arbitration Rules which shall be deemed to be incorporated herein by this reference. The arbitration shall be held in Kuala Lumpur, Malaysia, and shall be conducted in the English Language. The award of the arbitrator(s) shall be treated as final and binding on the disputant parties and enforceable in any court of competent jurisdiction. In any Dispute which involves any claim or dispute where the monies claimed [whether as loss, damages, compensation or otherwise] exceeds more than MYR 100,000, three arbitrators shall adjudge the dispute. For claims under this sum, one arbitrator shall adjudge the dispute. The arbitrator(s) shall have the authority to award actual money damages (with interest on unpaid amounts from the date due until repayment), specific performance, and temporary injunctive relief, but the arbitrator(s) shall not have the authority to award the excluded losses or damages as is specified in these Website Conditions or in any applicable Additional terms. Either party may request the arbitrators to provide a Reasoned Award in writing at the end of the arbitration. The Award of the Arbitrators shall be provided in writing no later than thirty  consecutive days from the date that the arbitration ends. The party that substantially prevails in the dispute shall be entitled to its arbitration costs and attorney's or solicitors fees, which matter shall be adjudged by the arbitrator/s. If a party fails to proceed with arbitration, unsuccessfully challenges the arbitration proceedings, or fails to fully comply with the orders or directions of the arbitrators, the arbitrators and the other parties involved in the arbitration shall nevertheless be entitled to proceed with the arbitration until its conclusion. Except as otherwise required by law, the parties agree to maintain as strictly confidential all information or documents obtained during the arbitration process, including the resolution of the Dispute. Notwithstanding the parties agreement to settle their disputes by arbitration, the parties hereby agree that in relation to intellectual property issues, or where the rights of a party are in serious jeopardy, and incalculable loss may be suffered by an innocent party, then, in such an event, the aggrieved party shall be entitled to move the High Court sitting in Kuala Lumpur, Malaysia, so that equitable reliefs can be provided, such as injunctions, declarations, accounts or specific performance. The parties agree that resort to legal process shall not stay the arbitration proceedings, which shall proceed to resolve any other issues in dispute between the parties. Our Acceptable Use Policy [To view our Acceptable Use Policy Click here] shall be deemed to be incorporated herein by this reference. Our Copyright Policy [To view our Copyright Policy click here] shall be deemed to be incorporated herein by this reference. "Cloudhax" means Cloudhax Sdn Bhd, its subsidiaries, affiliates, agents, servants and contractors. "Account" means collectively the personal information, Payment Information and credentials used by Users to access Paid Content and / or any communications System on Our Websites. "Courier" means any third party responsible for transporting Goods or Products from our Premises to that of the Customers. "Content" means any text, graphics, images, audio, video, software, data compilations and any other form of information capable of being stored in a computer that appears on or forms part of Our Websites. "Goods" or "Products" means any Products that We advertises and / or makes available for sale, subscription, lease, hire, or license through Our Websites. "Services" means collectively any online facilities, tools, Services [including interactive services] or information that CloudHAX makes available through Our Websites either now or in the future. "Payment Information" means any details required for the purchase of Products or Services from our Websites. This includes, but is not limited to, credit / debit card numbers, bank account numbers and bank sorting codes. "Purchaser"means any person or business that buys Goods from any of our Websites. "Invoice" means collectively any invoices, receipts or similar document that may be in hard copy or electronic form. "System" means any online communications infrastructure that CloudHAX makes available through our Websites either now or in the future. This includes, but is not limited to, web-based email, message boards, live chat facilities and email links. "You" "Customer" "User" means You or any third party that uses or accesses Our Websites or our Products and Services. "Affiliate" or "subsidiary" means any related or associate company of Cloudhax Sdn Bhd including their successors, assigns, employees and agents. "Agreement" or "Contract" means these Website Conditions, any applicable Additional Terms, and Policy terms which are applicable to the use of any of Our Websites, or for Products or Services ordered, supplied or sought by You from Us which shall be specified in the relevant Website [or webpage], the Order Form, Customer's Order, Purchase Order, Insertion Order, Acceptance Confirmation, Invoice, or such other document provided or displayed on Our Websites in relation to such Products or Services. "Contents" means all information, text, sound, and music, Software, photographs, videos, graphics, data, messages or other materials. "Products" or "Services" means any tangible or intangible Products or Services listed on any of Our Websites. "Order Form", "Customers Order" or "Purchase Order" means a written request provided or submitted [on Our prescribed order form or interactive forms] by You to Us which shall be deemed and treated as an Offer to Purchase or as an Offer for the Provision, Supply, license, hire or subscription of Products or Services [as the case may be]. 'Supply' or 'Provision' of 'Goods' 'Products' or 'Services' shall encompass, according to the context where the terms are used, a Sale, Subscription, License, Hire, Rental, or Assignment transaction. 'Acceptance Confirmation' means the document that We send to You which is an Acceptance of Your "Order Form", "Customer's Order" or "Purchase Order". 'Individual' or 'natural person' shall mean a human being who has reached the age of majority and has legal capacity to contract. 'Legal Person' means any entity created, formed, registered or incorporated pursuant to the Laws [or internal Laws] of a Country, State or any political subdivision thereof, or pursuant to International Law or Conventions. For the avoidance of doubts, such shall encompass a sole proprietorship, a general or limited partnership, a Company or Corporation [whether public or private, and whether with limited liability or unlimited liability], Trusts, Foundations, Societies, and Associations of Persons. A 'party' means either 'Cloudhax' or a 'User' as is applicable to the context in which such expression is used. 'The parties' means Cloudhax and the User collectively. 'Us' 'We' 'Our' means Cloudhax, its subsidiaries, affiliates and partners. 'Use' or 'Access' in relation to use or access to any of Our Websites and its services shall also apply to use or access via any mobile device or application. 'User' 'You' 'Your' 'Subscriber' means you, the User of any of Our Website or Our Services. 'Subscriber' shall mean any User who enters into a subscription or membership service for the Use of any specific Website or our Products or Services on a subscription basis or recurring basis.